With the hybrid vehicle market expanding so rapidly, it seems there is now a hybrid car for almost all market segments. Honda have three hybrid cars on the local new car market, namely Insight, Civic and CR-Z. It is this latter named model that we test drive. 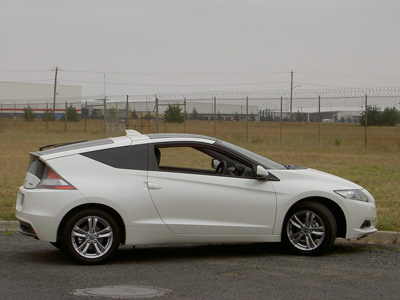 The Honda CR-Z is a small sporty two door coupe. Whilst I believe this new model is a stylish car, at least from the front, I do accept that the look of this car may not appeal to everyone. But it certainly has a 'draw card' look about it! The test car was the top-of-the-line model, known as CR-Z Luxury. It was fitted with a continuous variable transmission (an automatic). This very satisfying version is priced* from $40,790*. Premium White is the colour of the test car, this being one of the optional colours at $475. 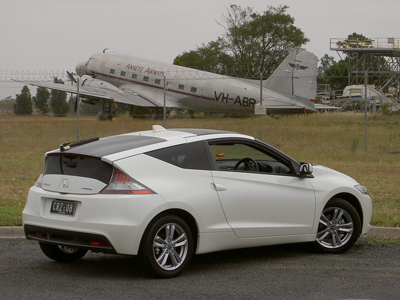 Therefore, as tested, our Honda CR-Z Luxury was priced at $41,265* plus the traditional on-road costs. The price* for the CR-Z Sport is from $34,990* and $37,290* for the Sport with CVT. The Luxury with CVT is, as mentioned, $40,790*. With an impressive starting price for the CR-Z hybrid coupe, this is one car that has the potential to win favour with hybrid sceptics. 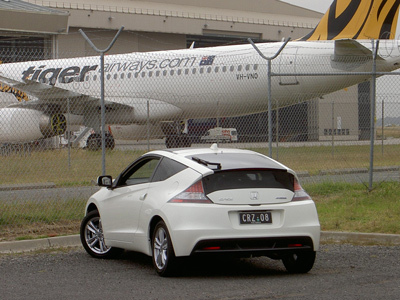 The Honda CR-Z hybrid coupe arrived in Australia just last November. It builds on Honda experience and reputation with hybrid powerplants and adds a little excitement to the line-up alongside the comparatively mundane Insight Hybrid and Civic Hybrid. Many readers will recall the popular Honda CR-X coupe from the past and, more recently, the Civic Type R. So Honda's proud tradition of providing a bit of sportiness is well known and that tradition continues quite favourably with the CR-Z. A selection of five colours is available for the CR-Z (one standard, four optional). Our week in the CR-Z was a mix of urban freeway and typical urban traffic. A split of almost 50/50 actually. So it was very much a case of being close to the standard that is used to calculate the widely accepted "combined cycle" for fuel consumption. However, we did it physically rather than academically. The most impressive feature of the Honda CR-Z is the driveability. There is no complications for the driver because of the hybrid drive system. This car is just like a 'regular' car. You get in, start up and go. Simple really. No complications at all. Some hybrids and electric vehicles seem to cause resistance amongst drivers of fleet vehicles. But not so the Honda. It is easy to drive. In fact, this is one mighty fine car to drive around the urban environment. 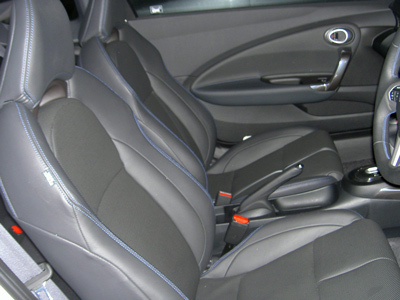 The front seats are comfortable, with nice side bolsters that are ideal for the average sized occupant. There is no lumbar support though. 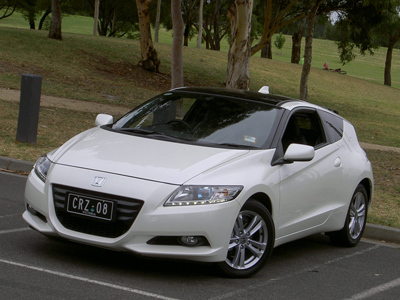 The CR-Z Luxury is only available with the continuously variable automatic transmission (CVT). It is fitted with steering wheel mounted shift paddles, which are somewhat useless in heavy urbanised traffic conditions. But it adds the sporty touch that some buyers will desire. The CR-Z has three drive modes, allowing you to select Sport, Economy and Sport. We were mostly in eco, which is quite suitable for the urban environment. The elaborate colours in the instrument panel will make you think it's Christmas. But you soon get used to them and they just fade into oblivion after awhile. You cannot detect the electric motor working. In some hybrids you hear a low-level noise (whirling type of sound) of the brakes regenerating power for the battery, but not so with the Honda. That's impressive. Being a sports car, you sit low in the cabin. But it is a comfy seating position. You appreciate just how small the little CR-Z is when a 'B-Double' pulls up alongside you at the traffic lights! The comfortable interior is small, but it is not cramped for the driver and front seat passenger. The back seat is impossible and is best suited to extreme optimists. A good selection of features make it easy to live with the Honda CR-Z Luxury. There's a DVD player and plenty of 'connectivity' (but AUX jack is only in Sport, not Luxury). The cruise control is user friendly and the steering wheel adjusts four-ways (manually). There is room for one glove in the glove box, a pair if you're lucky. Two cup holders are upfront. Seating features leather and the front seats have heating. The Luxury has a panoramic glass roof and satellite navigation. Keyless entry and central locking is always a welcome feature and it works well with the Honda, although the key itself feels a little on the cheap side. Rear vision isn't good, but being a small car it easy to slip into tight parking spaces. The rear-view camera is an excellent tool to assist in this process and it is standard in the CR-Z Luxury. The CR-Z is powered by front-mounted 1.5 litre in-line four-cylinder, single overhead cam, petrol-fuelled engine that is integrated with an electric motor. Honda call the electric motor “Integrated Motor Assist”. The engine and electric motor combine to produce maximum power of a modest 91 kW at 6,000 rpm. Maximum torque of 167 Nm is produced between 1,000 and 1,500 rpm. The electric motor is fitted between the engine and the transmission. It contributes just 10 kW of power but provides 78 Nm of torque to boost torque at low range rpm. The CR-Z has been given the maximum possible five star safety rating by ANCAP, with a score of 35.56 (out of a possible 37 points) based on Euro-NCAP crash testing. Standard safety features include six airbags, traction control, brake assist, anti-lock brakes, electronic brake distribution and active head restraints. The CR-Z Luxury is fitted with a reversing camera as standard. No factory figures are available for the performance of the CR-Z. However, we can say that although the CR-Z is no super car it does provide quite suitable performance to keep you motoring along happily. Being a hybrid vehicle, efficiency is at the forefront of the CR-Z design. It results in excellent fuel consumption figures and low emissions. In addition to the hybrid powertrain, Honda have placed an emphasis on aerodynamics to improve performance and efficiency. The exterior design is heavily influenced by the need optimise the air flow and the result is reasonably dramatic. The roof slope and curvature at the rear are designed to minimise drag. On the combined cycle, fuel consumption of the CR-Z Luxury is rated at 5.0 litres per 100 kms. City cycle consumption is rated at 5.2 l/100 km. Highway cycle comes in at a frugal 4.3 l/100 km. 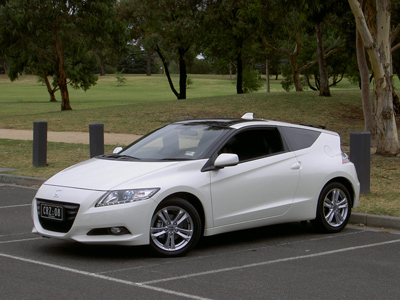 The CR-Z requires unleaded fuel (RON91 or higher) and will run safely on an E10 unleaded mix also. CO2 emissions from the Euro4 compliant engine are 124 grammes per kilometre with the CVT automatic transmission. Emissions and fuel consumption is slightly higher with the 6 speed manual transmission which is only available on the Sport variant. The Honda CR-Z has a long list of features. 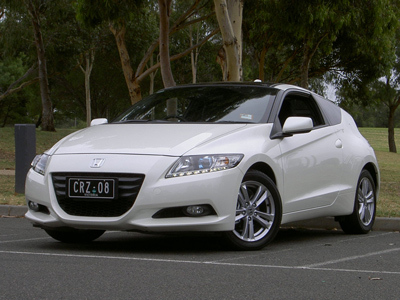 The CR-Z Luxury, as the name suggests includes additional equipment to give a luxury feel. All CR-Z models include Bluetooth connectivity with steering wheel mounted controls, leather wrapped steering wheel, climate control air conditioning, cruise control, rear privacy glass and alloy wheels. In addition to the features included in the Sport, the Luxury includes leather trimmed front seats and door panels, heated front seats, a panoramic glass roof, satellite navigation and a reversing camera. There is privacy glass at the rear. Four alloy heels are fitted, whilst a temporary 'spare' is tucked away for emergency use. A parcel shelf is included for the luggage area. The CR-Z is available in two variants. The entry level is called the Sport and the higher spec variant, as tested, is the Luxury. Both versions are available with the same 1.5 litre engine, however the Luxury is only available with automatic transmission. The sport does not have leather seats, heated seats, glass roof, satellite navigation or reversing camera. The warranty operates, with conditions, on a three year/100,000 kilometre basis. The hybrid battery is covered by warranty for eight years/unlimited kilometres. 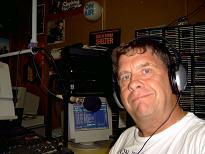 Roadside assistance is available in an optional package. Small coupes can still find a place in today's congested new car market. This particular coupe, the Honda CR-Z Luxury, makes a compelling case for a fuel efficient trendy small car that is ideally suited for one or two occupants. Being a hybrid, it offers far more compatibility with the real world than, for example, an EV. Yet, the appeal of this Honda is more a case of trendy presentation, nicely packaged into a fine urban car. This is an excellent package to offer city dwellers a degree of sustainability with style for their next car. More Honda News ..... here.